This is one of those lights that you’re probably either going to love it or hate it. I don’t see a whole lot of middle ground going with this one It’s a light that normally would be considered a portable light by the looks of it. However, despite the very square portable look it’s actually a full on lamp, complete with a fancy chrome stand. Really for me it looks more like a music player, I really like to have it. 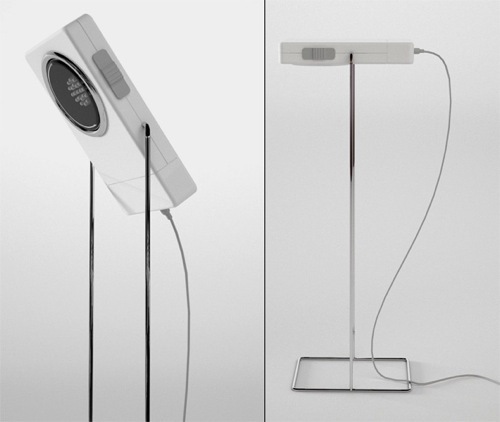 The lamp has a total of 20 little LED lights that are energy efficient by their very nature. It also has a 3-way switch to finish it off. This is a design by Aissa Logerot. Those of you that love the simplistic design will have to wait around to see if this one actually makes it to the purchasing stage of things.